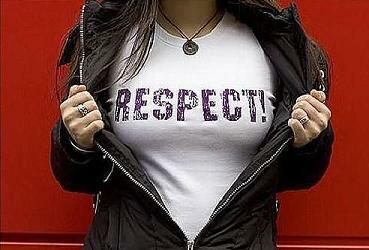 Many of us know the meaning of self respect but how many of us stay true to it? The biggest mistake anyone can make is not having self respect. On the road to achieving success any aspect of your life, we may compromise self respect in order for others to accept us. But truthfully I believe the reverse happens. The meaning of self respect is to honour yourself and not allow others to take advantage by walking all over you. When someone asks me what I look for in a partner the following comes to mind: someone who is ambitious, makes me laugh and respects me. You can have the most amazing boyfriend or girlfriend but if they are constantly cancelling on you, abusing your stuff and treating you with disrespect — how can you call that a loving relationship? The same is true with any friendship. Why do some people let others treat them like a doormat? Don't they know the meaning of self respect? The answer is simple, they have no respect for themselves. And if they did, they would learn to stand up for themselves. 1. You take care of your physical health and appearance. For example, you practice eating healthy most of the time and incorporate exercise on a regular basis. You try to get at least the minimum amount of sleep you require to function the next day. 2. You work hard in life and take care of the people and things that are important to you. You do not let others take advantage of those things. 3. You stay away from things that harm you such as illegal substances and toxic relationships. 4. You do not let others control you or tell you want to do. Most importantly, you do not let others allow you to get run down. The biggest misconception is that putting yourself first is selfish. It’s the exact opposite. If you do not take care of yourself first, you won’t be able to help others. For those of you who do not know me, something I have become very passionate about is yoga. I started doing yoga in January 2009 and it has completely changed the way I look at my body, both physically and emotionally. 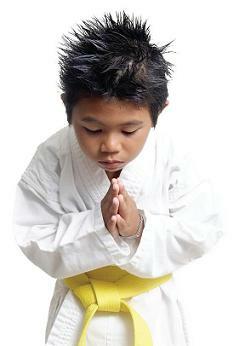 Disciplines such yoga and martial arts teach you to honour your body and respect others. I will definitely write more on how yoga has transformed my life but for now, it’s something to seriously consider if you’re looking to strengthen your self admiration. Click here to learn how to attract meaningful relationships.